Hamtramck's ethnic makeup continues to change. Is Hamtramck still Michigan’s “Little Poland”? Or does it seem like it’s becoming “Asia West”? Or some combination of both? The raw data is a bit sketchy, particularly with regard to Hamtramck’s burgeoning Bangladeshi population, according to Piast Institute Director Dr. Thaddeus “Ted” Radzilowski, the noted local ethnologist. “They (the Bangladeshis) prefer to classify themselves as ‘Asian-Indian,’ typically, on the census” said Radzilowski. 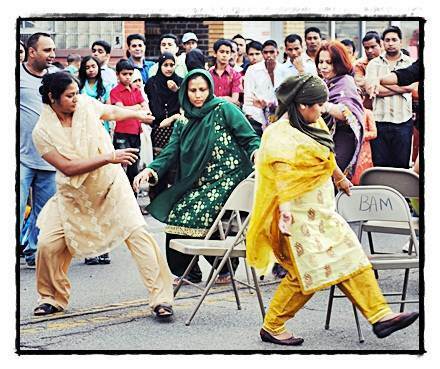 As such, the Asian population comes in at 21.5 percent overall, or approximately 4,500 persons out of Hamtramck’s total population of 22,423. The trick is, the way the census is constructed, people of Arabic descent fall under the “white” designation, even though their countries are in Asia. Hamtramck has a substantial Chaldean population (referring today, essentially, to those Catholic former Iraqis), and a growing Yemeni population. The Polish population, meanwhile, currently stands at between 15 and 16 percent. At the time of the 1990 census, Radzilowski said, people who claimed Polish heritage comprised 45 percent of Hamtramck’s population. By the 2000 census, however – despite Hamtramck having an overall population resurgence of about 4,600 people, for a whopping gain of 25 percent – the Polish population had nearly halved, to 23 percent. In fact, he said, there has been a slight uptick in the number of younger Polish-heritage families moving back into town, Radzilowski noted. Asked whether he felt the population of Poles would eventually dwindle down to next-to nothing, he made an interesting observation. He drew an analogy to the Little Italy neighborhood in south Manhattan, which, while now absorbed geographically into Chinatown, still retains its separate, well-known identity. By contrast the Albanians, for example, moved through Hamtramck relatively quickly, and migrated up into Macomb and Oakland counties where they built their churches and halls. Radzilowski also mentioned the growing African-American populace, which, with 4,317 people tallied here in Hamtown, puts them at about 19.1 percent. He also said that, while there are a few Serbs and Croats here, the primary ethnic group from the old Yugoslavian breakup is the Bosnian Muslim contingent, currently numbering about 2,000 persons and gaining. “They’ve built a number of things here, now,” Radzilowski said of the Bosnian faction. But remember, even the city’s name, which many assume to be Polish, is in fact not: rather, it comes from the surname of an old French general. The point is, there’ll almost certainly be a Hamtramck. Even if the face it presents to the world is always changing.